The Isabella Gas Lift Queen Size Bed Frame is a modern yet classic bed base, featuring a panelled bed head with wings for a touch of elegance. 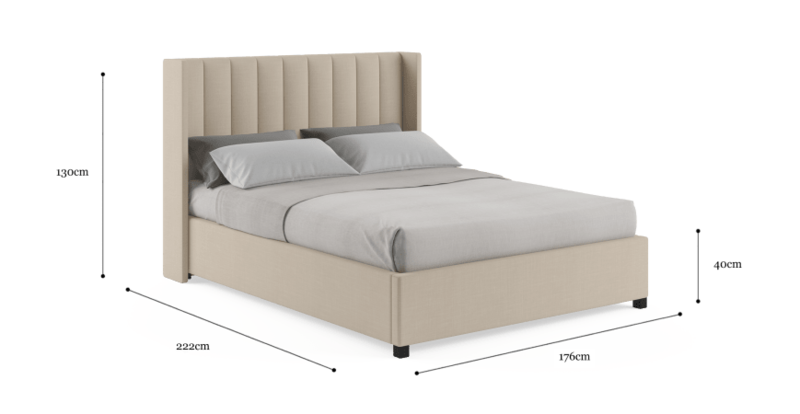 View the full Isabella Bed Collection here. The Isabella has an easy to use gas lift function, with generous storage space built into the base. Perfect for hiding away extra items and clearing up more space around the home! 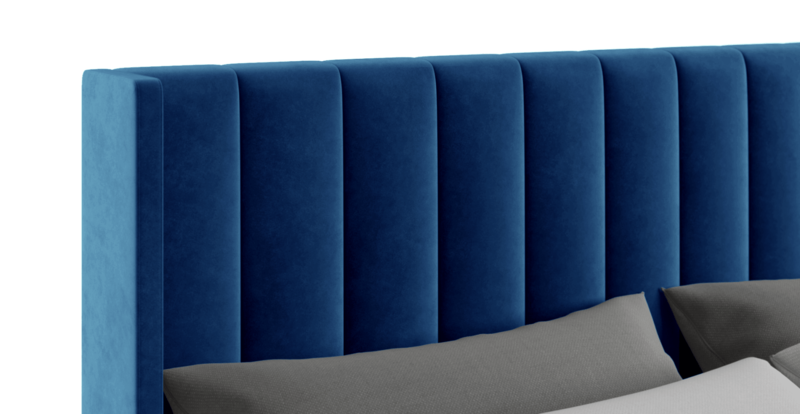 The Isabella is built to perfection with a strong solid base and panels filled with a plush Medium Density Foam for a soft, elegant touch. 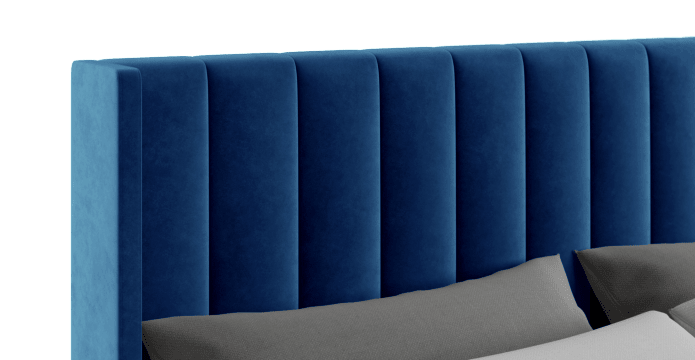 The Isabella is available in a stunning range of colour options in Brosa's Signature Premium or Warwick Mystere Velvet, in shades that will complement any interior. Love my new bed, and was able to put it together myself ! I recently purchased an Isabella Queen bed frame and bedhead. It was delivered on time, was easy to assemble and I was delighted with the quality of the piece. It looks exactly like the pictures. Excellent value for money. I recently bought the Isabella bedhead and frame. It was delivered quickly and in perfect condition. The fabric and colour are exactly as expected and as shown in the pictures. I am extremely happy with this product and would recommend it to anyone. Thank you Brosa!!!! 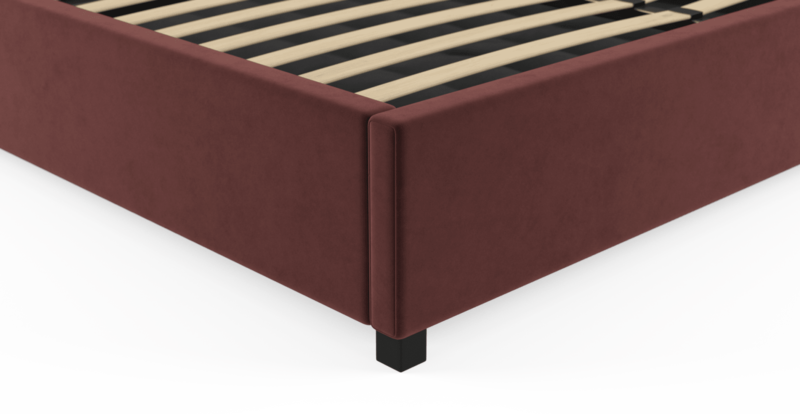 See, touch and feel our fabrics used on our Isabella Queen Gaslift Bed Frame. For Free! Simply select up to 3 fabrics and add them to your cart. Delivery is on us.